Containing 986 names of the men and women of County Armagh (west of the Bann) who gave the ultimate sacrifice during WW1. Written by Joe Center as a result of 10 years of research and dedication. 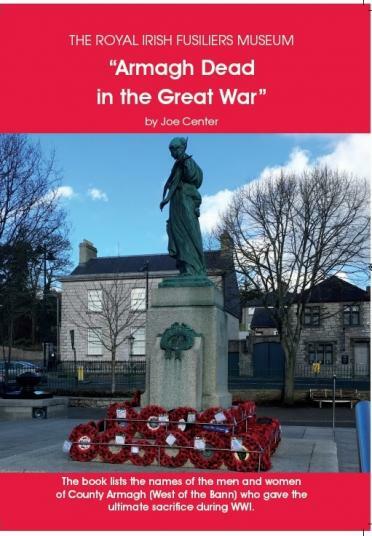 The 175 pages provides bibliographical summaries and photographs and is the most comprehensive list of the people from Armagh to date.